The Wednesday Call Live (TWC) for March 6, 2013: Andy Albright is coming at you live from National Agents Alliance Headquarters in Burlington, NC! Training, team building, and surprise visits from top agency managers are all common themes for Andy's live show. Tune in to get all of today's great info! The Live Show will air again on March 13, 2013 at 12:30 PM ET. The Wednesday Call Live (TWC) for March 6, 2013: This file is an audio recording of Andy's Live Show. If you would like to access the video version, check out the NAAtv Live Archives! 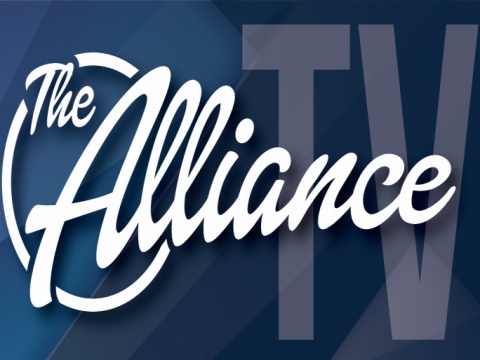 March 1, 2013: Barry Clarkson starts a three-week series covering Recruiting Training from The Alliance�s Top 3 baseSHIPS. The next NAActivity call will be on March 8, 2013. Keep an eye on your National Agents Alliance email blasts for more information, and remember to email your NAActivity reports to NAActivity@NAALeads.com by 4 p.m. each Thursday! February 22, 2013: Barry interviews 2 of The Alliance's Top Producers. Find out what they FOCUS on each week & WHO they are! All on today's NAActivity Call! The next NAActivity call will be on March 1, 2013. Keep an eye on your National Agents Alliance email blasts for more information, and remember to email your NAActivity reports to NAActivity@NAALeads.com by 4 p.m. each Thursday! The Wednesday Call Live (TWC) for February 27, 2013: Andy Albright hosts a live conference call and meeting from National Agents Alliance Headquarters in Burlington, NC! Andy's live show covers all kinds of great topics, including training, information on team building, new developments that are in the works, and frank discussions with your fellow agents (beginner and top level managers alike!). If that wasn't enough, the live show also provides motivation and encouragement that will help get you fired up and ready to roll! Be sure to tune in and take advantage of the great info in todays Wednesday Call. The Live Show will air again on March 6, 2013 at 12:30 PM ET. The Wednesday Call Live (TWC) for February 27, 2013: This file is an audio recording of Andy's Live Show. If you would like to access the video version, check out the NAAtv Live Archives! Are you building your business effectively? Are you maximizing your office�s full potential? These are questions President�s Club will be answering in regards to initial dialing, and recruiting. The Wednesday Call Live (TWC) for February 20, 2013: Andy Albright is coming at you live from National Agents Alliance Headquarters in Burlington, NC! Training, team building, and surprise visits from top agency managers are all common themes for Andy's live show. Tune in to get all of today's great info! The Live Show will air again on February 27, 2013 at 12:30 PM ET. The Wednesday Call Live (TWC) for February 20, 2013: This file is an audio recording of Andy's Live Show. If you would like to access the video version, check out the NAAtv Live Archives! The Wednesday Call Live (TWC) for February 13, 2013: This file is an audio recording of Andy's Live Show. If you would like to access the video version, check out the NAAtv Live Archives! The Live Show will air again on February 20, 2013 at 12:30 PM ET. The next NAActivity call will be on February 22, 2013. Keep an eye on your National Agents Alliance email blasts for more information, and remember to email your NAActivity reports to NAActivity@NAALeads.com by 4 p.m. each Thursday! National Agents Alliance recently had members of its agent force and staff volunteer during the Duke Children's Hospital MIX 101.5 WRAL-FM Radiothon, helping to raise more than $1.1 million during the event. All of the volunteers had a great time supporting a worthy cause, and they were able to raise over $200,000 during the three hours that the National Agents Alliance volunteers were there. A full article on the event may be found here. Duke Children�s Hospital & Health Center, located in Durham, N.C., is nationally ranked among the best in pediatric health care programs. Donations received support valuable programs and services for the hospital's patients and their families. More information on Duke Children's Hospital & Health Center may be found at http://www.dukechildrens.org. On the call for February 14, 2013: Tom Hamilton from American Equity will be hosting this week's training call and discussing the sales techniques for annuities!